It’s often said that the worst brings out the best in man. This can never be truer than in our magnificent Kerala. When our small state goes though unparalleled horror and pathos, our citizens have exhibited remarkable resilience and strength. I am particularly proud of my brothers and sisters at the bar when I see how they have responded to the cries for help. 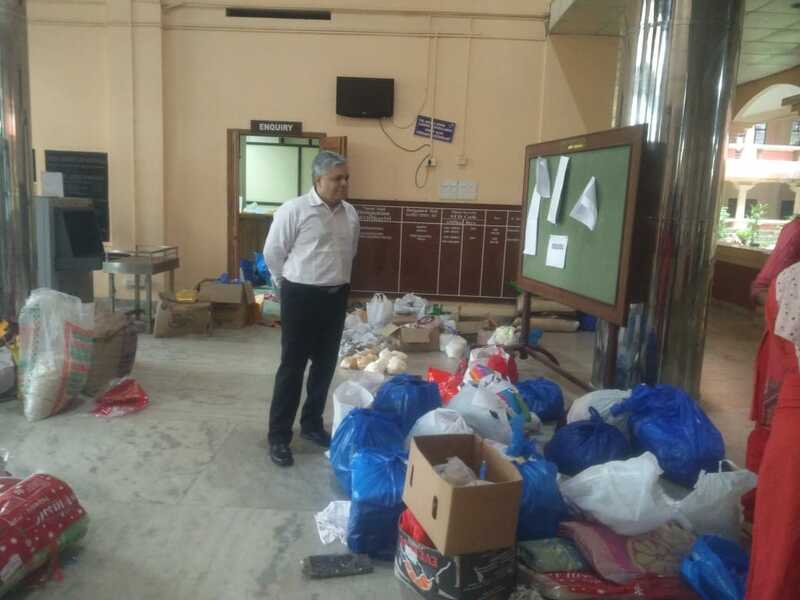 I was at the High Court the whole day yesterday and I have seen how lawyers, both seniors and juniors, have joined hands to get essential supplies to 32 odd relief camps all around Ernakulam and nearby districts. What is truly amazing is how the young lawyers have given up food and sleep, to toil for the last three days without any break, to stock extremely large supplies from their own resources and to deliver it personally in their own cars and vehicles to each camp and to ensure the articles reach to victims directly. They are doing this without second thought for their personal safety or their vehicles. The vehicles have had to wade through unimaginable levels of water and its Gods grace that all my young friends have made it this far without any event. We know of various other groups who are engaged in such effort. But what makes the advocates apart is that they are personally going to each camp, bracing huge inundation and meeting victims, ensuring that the articles really reach the most needy. This is the true face of our profession. I am proud of my sisters and brothers and pray that God keeps them safe and ready for further duties for our God’s own Kerala.